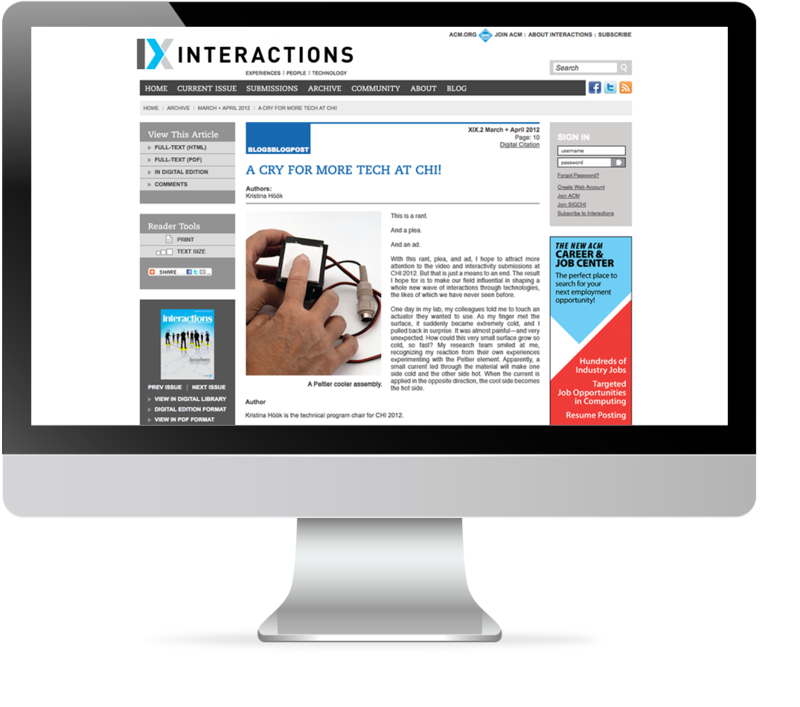 ACM Interactions is a bi-monthly magazine that primarily focuses on human computer interaction as well as interaction design communities. The magazine is published by the Association for Computing Machinery, the largest society in the world of scientific computing. 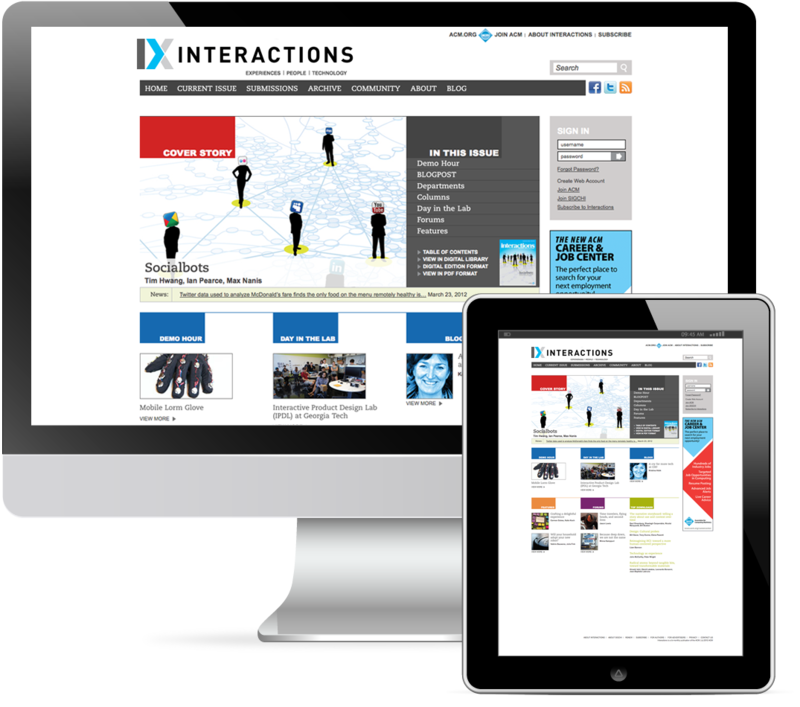 Mineral was hired to design and develop the Interactions e-zine. Working closely with the ACM Interactions staff, Mineral's first task was to develop the Information Architecture that would provide visitors with easy and functional user interaction and experience. The next step was to create a clean design that represented the physical magazine itself. 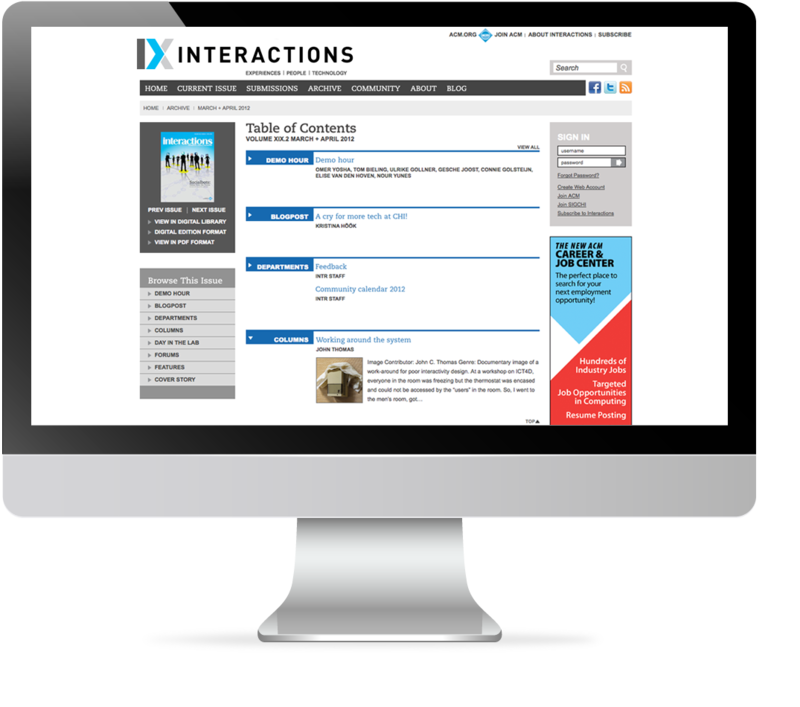 Mineral built an Expression Engine add-on that allows for easy and seamless syncing of data between the Interactions e-zine and the expansive parent ACM Digital Library. Custom field types were written to allow the ACM staff to better administrate their systems. In Addition, custom permissions were built to control access to individual articles outside of the Expression Engine mechanism. Lastly, a single sign on architecture was developed to allow members of the Parent site, acm.org, to seamlessly log into the Expression Engine CMS.